You know you need to protect your skin from the sun, but did you know your eyes are also vulnerable to sun damage? 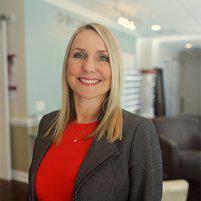 At Perceptions Eye Health and Wellness in Southport, North Carolina, Tara Parnell, OD, provides both prescription and nonprescription sunglasses in a wide range of styles and prices for your whole family. Call Perceptions Eye Health and Wellness today, make an appointment online, or stop in to browse the selection of sunglasses. Why do I need sunglasses? You wouldn’t go outside without covering your skin with a broad-spectrum sunscreen, so why would you leave your eyes unprotected. Extended exposure to sunlight can damage your eyes and contribute to conditions such as cataracts, pterygium, and macular degeneration. Sunglasses also provide comfort in bright sunlight. They shade your eyes, so you don’t have to squint, and make it easier for your eyes to adjust when you enter a place with a darker interior. Sunglasses are just as important in the winter as in the summer. Snow reflects up to 80% of sunlight, which increases the light entering your eyes. Even if you don’t see much snow in Southport, if you go skiing or want to protect your eye health and vision all year, you should invest in sunglasses that block 100% of UV rays. How do UV rays damage my eyes? There are different types of UV rays in sunlight, and they all affect your eye health. For example, UVB rays trigger changes in your cells, including increased melanin production. This causes your skin to tan and stimulates the mutation of skin cancer. UVB rays are known to trigger abnormal growths on your eyes like pterygium and pingueculae. UVA rays pass through your cornea and damage your retina, contributing to eye diseases such as macular degeneration, retinopathy, and cataracts. UVA rays can also cause photokeratitis — also known as snow blindness — a loss of vision that usually lasts 24-48 hours. What should I look for when choosing sunglasses? When you’re choosing sunglasses, you need to consider both your lenses and the frames. Your lenses should block 100% of UV rays as well as high-energy visible (HEV) light. You may consider light-responsive lenses known as photochromic lenses, that get darker in bright light and are clear in dull light or the dark. You also should choose large frames that fully cover your eyes as well as the delicate skin that surrounds them. Sunglasses also block UV rays from your skin, which can reduce your risk of sun damage and premature wrinkling. Perceptions Eye Health and Wellness carries a wide range of designer frames as well as more affordable options to suit every budget and taste. If you’re athletic, you can choose sunglasses or goggles that are suitable for your sport, whether you ski, play golf, or play basketball outside all summer. The staff at Perceptions Eye Health and Wellness can provide advice on the best frames, lens types, and coatings to protect your eye health. Call Perceptions Eye Health and Wellness or make an appointment online today to get prescription sunglasses and protect your vision.